Photograph of The Hanseatic Wharf, Bergen / Tyskebryggen, Bryggen. The beautiful wooden houses of Bryggen date from the 14th to the mid-16th century. Bryggen, the old medieval quarter, is a charming, compact area of brightly coloured wooden houses that once housed the city's merchants. 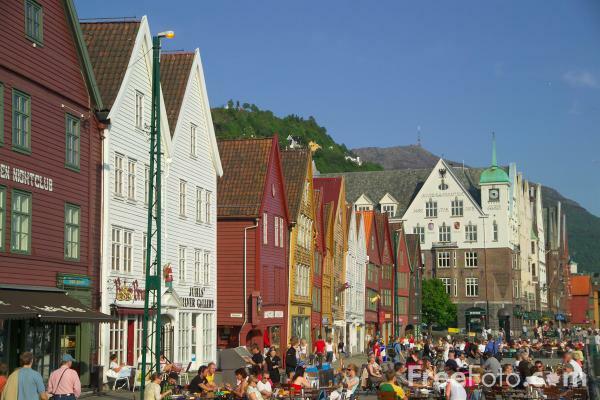 The historic city of Bergen was medieval Norway's capital. VIEW: More images from the category The Hanseatic Wharf, Bergen or taken at the same location or around the same time .